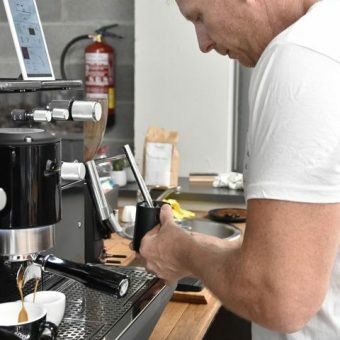 Tornado Café collaborates with Iberital on its project of the new coffee machine called Vision. 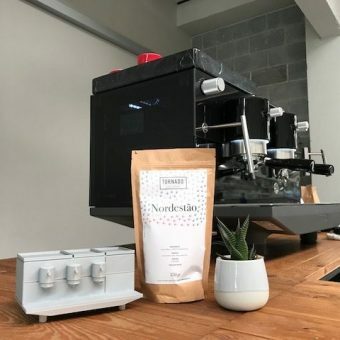 The Iberital team was looking for an external expert with knowledge and experience on roasting specialty coffee and also with technical skills on coffee machines, and there we were, Tornado Café; we know everything about what you can get out of the same coffee by only changing some parameters. 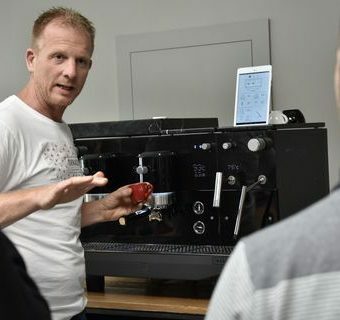 It has been a very grateful experience and a great honor that a company as important in the world of coffee machines as Iberital thought about us to test the new Vision. First of all, we wanted to check the Vision on the inside, its mechanisms, its multiple boilers, the building materials it is made of, etc. 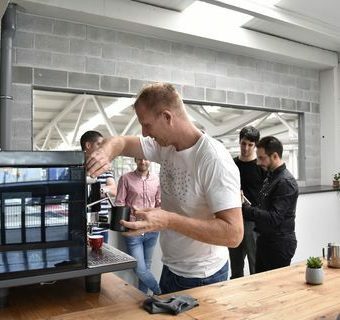 The Vision is a sustainable and healthy coffee machine, free of nickel and lead. It also has a system of saving energy that allows you to turn off or put into sleep the functions we are not using at that moment. The Vision has high-tech and an exquisite design. 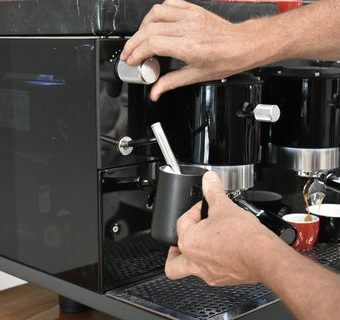 Despite being a coffee machine with multiple options and possibilities, it is an easy machine to work with. Everything is programmed or deprogrammed by a tablet. 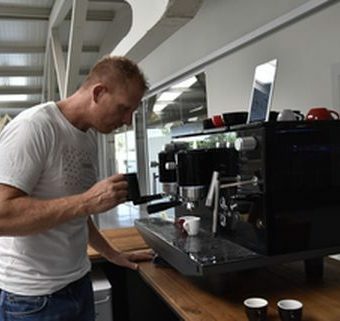 We have tested all their options and capabilities that the Vision has and we are very surprised by the effectiveness of this coffee machine. One of the features to be highlighted is that each group consists of a boiler and then has a boiler that preheat water going into the group; this makes the group is incredibly stable and its degrees of temperature are very precise. The temperature indicator displayed on the screen is actually the water temperature which comes out the group water. It is a multi-boiler machine. 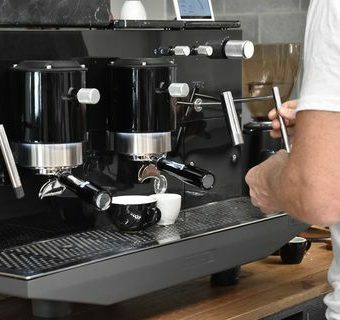 Each group has a joystick that you can select 3 positions for 3 different profiles of coffee, including the ml in your cup, that have been previously programmed in the tablet. The Vision has a pre-infusion system that allows you to change the parameters in the tablet in 0.1 seconds, it is incredibly accurate. 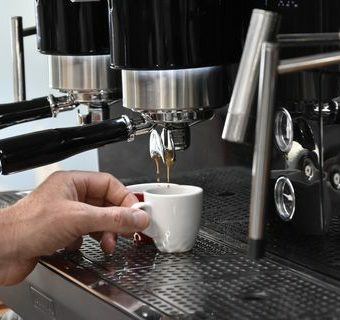 This is one of the main characteristics for the baristas who work with specialty coffees since you can program the pre-infusion into two phases: a first phase programming the seconds you like that the water makes wet the coffee and a second phase programming the remaining time for pre-infusion to the seconds you like without adding more water to coffee; and then the pump activates the infusion to extract the coffee. According to the seconds you program the pre-infusion time or/and the time you program that the water make wet the coffee it will make your coffee more acid, or sweet or dark chocolate. Depending on the coffee you use, you can make the most of the coffee that you are extracting. In the same group you can set different pre-infusion in the tablet and it will only have to change them with the joystick position. 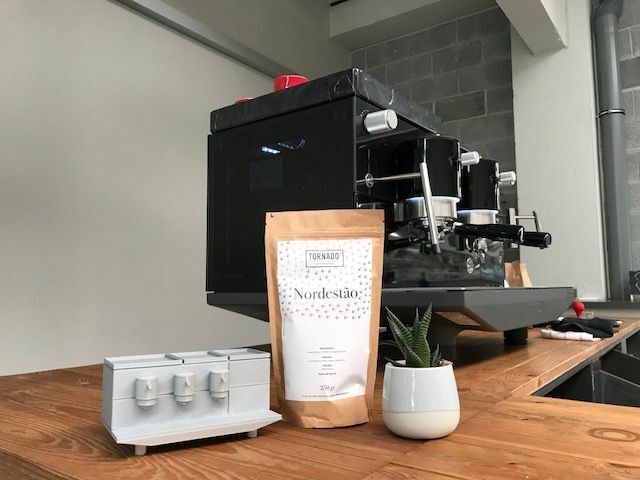 The Vision serves a healthier coffee, without impurities since the water comes directly from the network supplier and in this way is not in contact with the boiler and its waste. The system to make teas is the same, uses water from the network supplier which does not touch the boiler. In the tablet can be set different temperatures for the water according to what teas we are preparing. It is programmed in the tablet and with the joystick we select the ideal temperature and the amount of ml of water you need. It has been very satisfying to show all Iberital team how with a single origin coffee we could get so many different flavors of the same coffee only by moving the joystick. A very interesting experience to see their reactions while finding out what could do the machine they have manufactured. This is a brief summary of what Vision is able to, if you want to know more, feel free to contact us. Thanks Iberital for trusting our expertise.